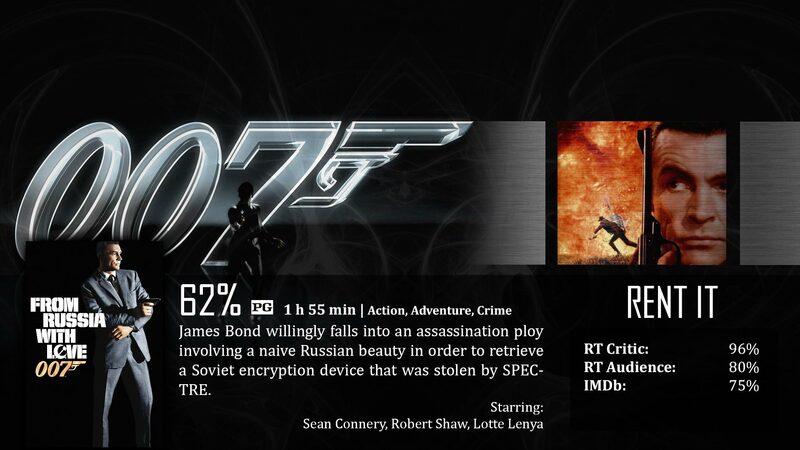 Dr. No was the film that introduced us to James Bond, but in my opinion, From Russia with Love is the film that introduced us to 007. James Bond is 007, but 007 is the spy while Bond is the man. The first film had a lot of detective work, some iconic scenes, but for the most part…it was just boring. Now granted, I’m not the biggest fan of movies that are older than I am, let alone twice as old as I am, but you never know, sometimes they can surprise you. From Russia with Love, as I mentioned above, is where I think 007 really stepped it up, regardless of the fact that I was still kind of confused as to what was going on. I’ll probably get this incredibly wrong, but I’m going to try anyway. SPECTRE is like, Claw from Inspector Gadget. You got the guy with the deep-set voice that you never see his face petting his loyal kitty cat while pretty much yelling “I’ll get you next time, 007!” to his minions. Anyways, they were the baddy’s in the first film too, and they are upset at Bond for killing Dr. No. So their new plan is to take out revenge on him while stealing some kind of…cryptograph machine for no apparent reason other than to steal it. An assassin lurks in the background, waiting for Bond to get the device first, so he can take it for SPECTRE. Well. This one reminded me a lot of Inspector Gadget, it’s honestly ridiculous, but at the same time, I finally felt that “007” spirit start to show up. We have an intro sequence with the lady dancing, and I love how it’s done. This is 1963, there’s no CGI girls swimming in an imaginative pool, this is a girl dancing in front of a film projector, text illuminating off the skin. This created a nice text effect as the text danced on the skin. Smart technical effect, I must add. I wouldn’t exactly say it’s a very good translated effect for a modern audience, but I think it works, personally. Then when the film really starts, you understand the story a little more clearly…but not completely. The whole Tatiana plot confused the heck out of me. I mean, from the get go, I didn’t know who she was working for – the Russians, Germans, British…I just couldn’t figure it out, but I had the feeling that I was supposed to know from the very start, and that aggravated me. However, I did like to see some spy gadgets introduced. The first film really didn’t have any of those gadgets, and in such, I just felt like Bond was a detective, not spy. This time, we had this multi-function briefcase that served as a thing of tear gas, knife, and a portable rifle that you can put together in no time sweat with twenty rounds…not bad. So looky here, I can finally imagine people’s mouths dropping and saying – I WANT ONE! – That’s what I was waiting for. I’m glad to see James Bond really emerging from the franchise at this point, but I still don’t think it translates that well for a modern audience. It takes a lot of appreciation to enjoy something like this, because the image that Bond portrays here is very different than today’s Daniel Craig image. However, what you have to do is just keep in mind what Bond stands for, what kind of guy he is in general, and how storylines typically go about in these films, and you might like it better. From Russia with Love is still not the best example of a James Bond flick, but it’s good enough material for you to get a sense of the man for the first time (in my opinion). Decent, but there’s so much more to see from his character.